Pen, ink, wax crayon and watercolor on paper. 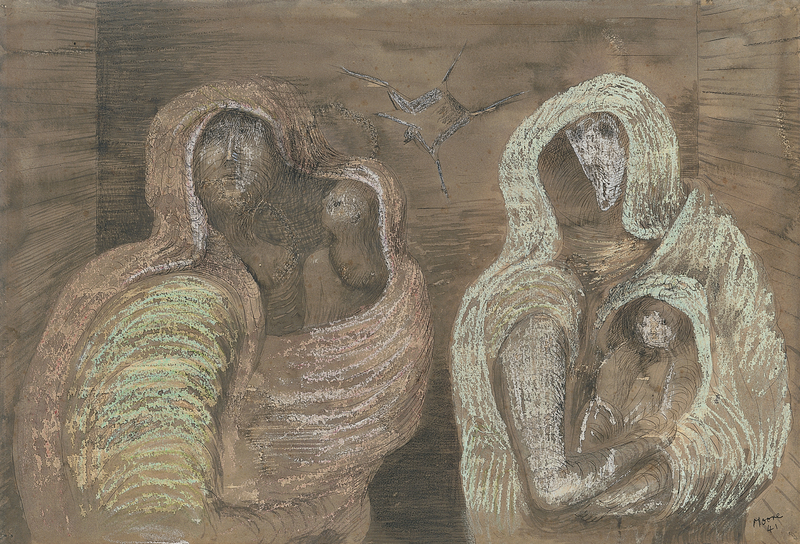 Two Mothers Holding Children, another of the drawings from the series showing people sheltering from the German air raids on London, explores one of the most recurrent themes in Henry Moore’s entire output: motherhood. Following his first Mother and Child of 1924‒25, a large stone sculpture, this motif became an obsession for the artist. 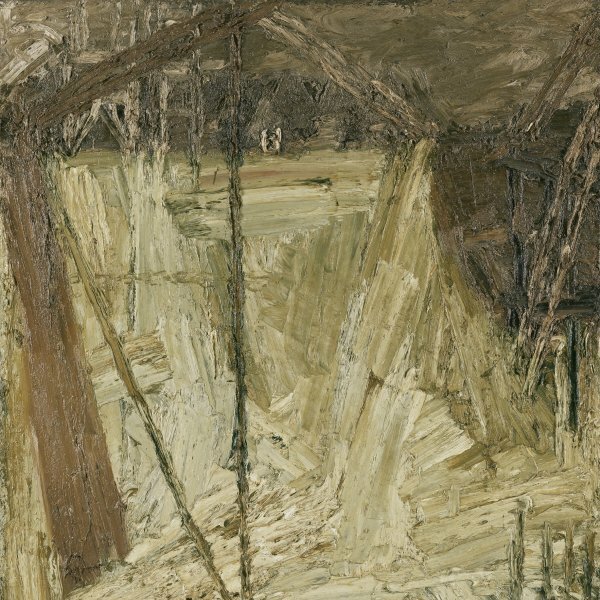 The plasticity of the group in this small work on paper, formed by two mothers cradling their children on their laps, protecting them with their mantles, and the organic sinuosity of the forms, are fully consonant with his sculptures. The relationship between inside and outside, another of Moore’s constant formal concerns, makes these shelter drawings the immediate antecedents of the sculpture of the Madonna and child he crafted for Saint Matthew’s church in Northampton in 1944.